The Odles hut is located on the Col Raiser, 2100m above the sea level. 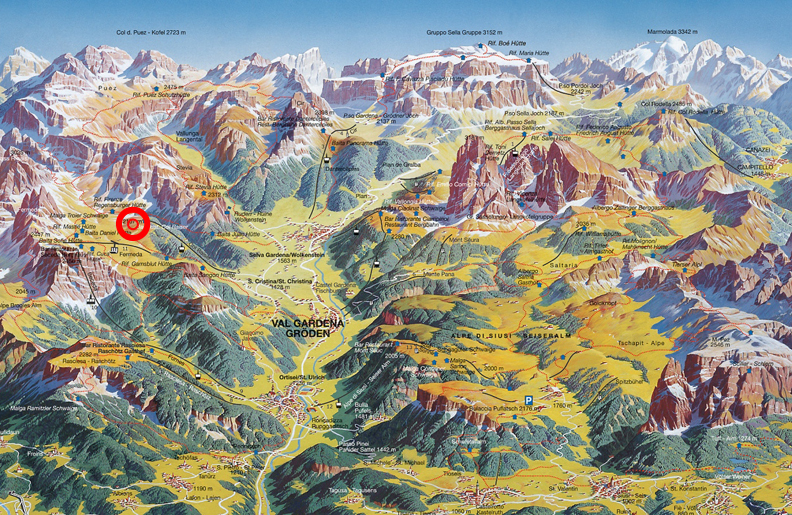 It can be easily reached using the Col Riaer cableway - we are just next to the mountain station. 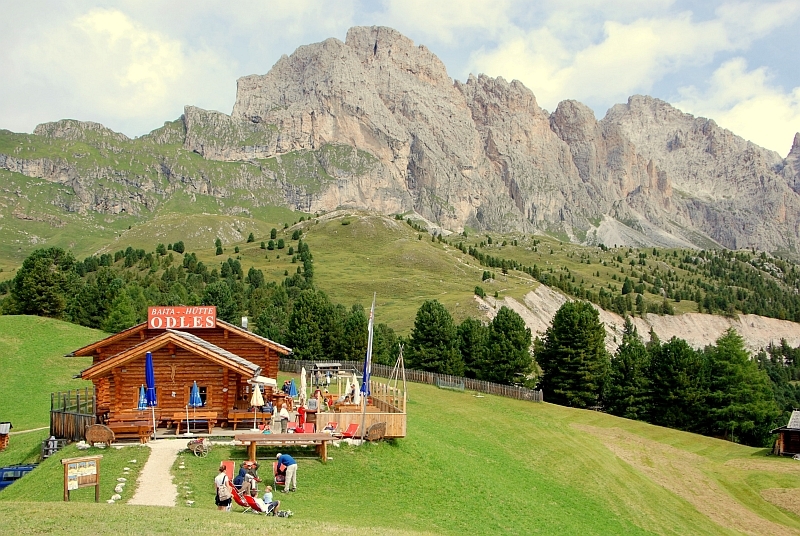 Alternatively you can reach us by foot across the Seceda and Mastlè Alps (approx. 1 1/2 h), or coming from Plesdinaz using the forest road (approx. 1 1/2 h).